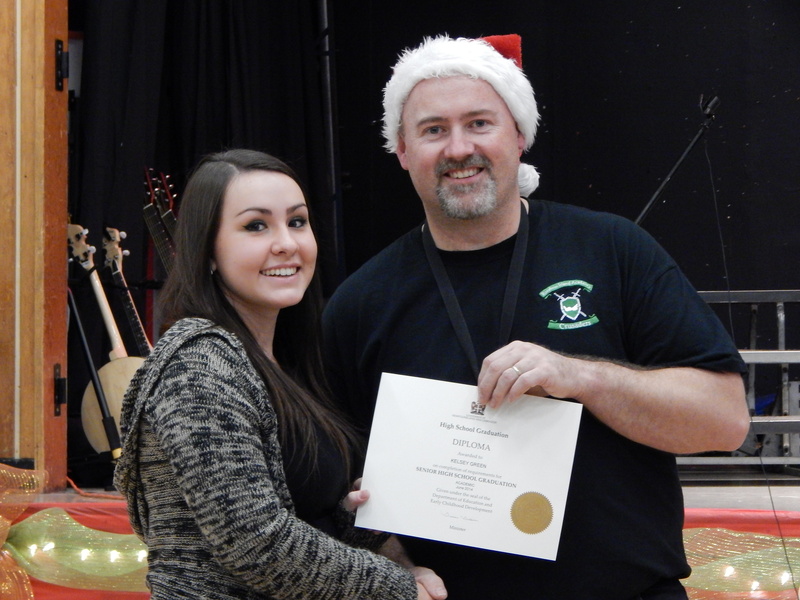 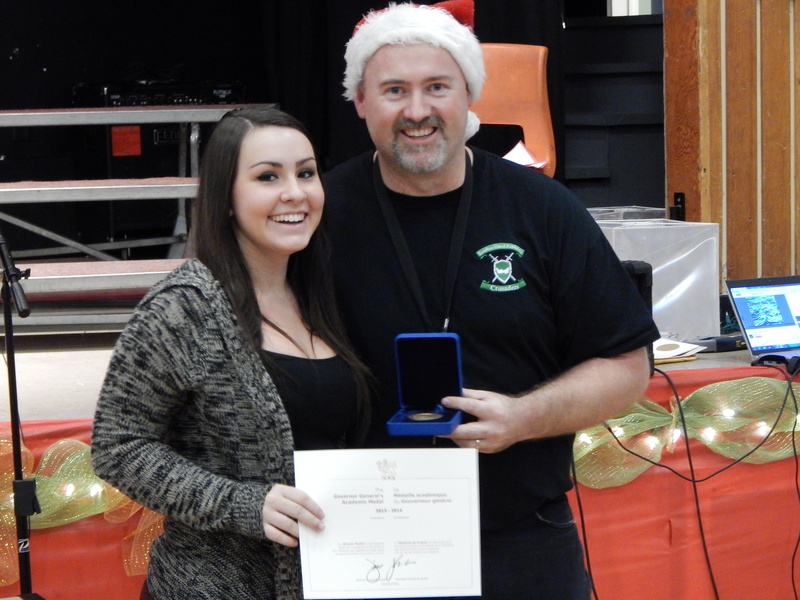 RIA welcomed back its class of 2014 at our Christmas assembly to receive their high school diplomas and the return was highlighted by Kelsey Green being awarded with the Governor General’s Award for having the top marks of all the graduates: Kelsey has just finished her first semester at Memorial University this past Fall. 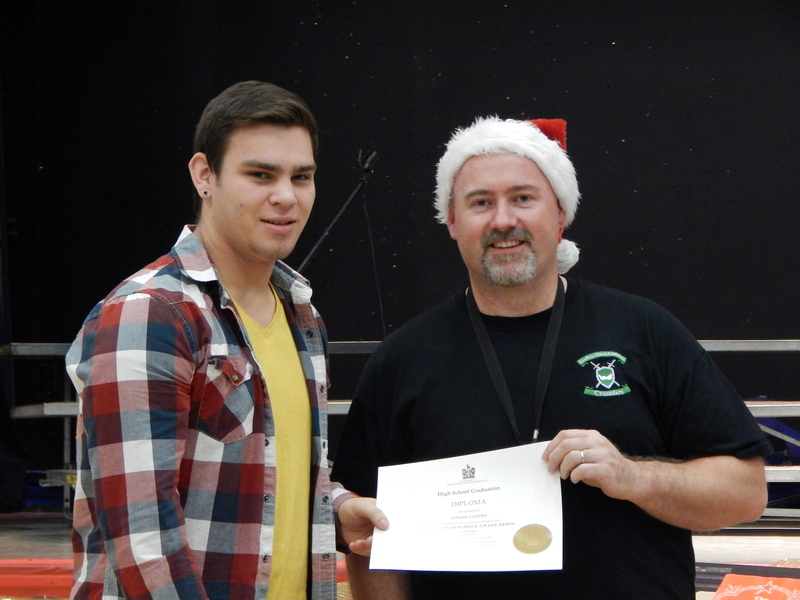 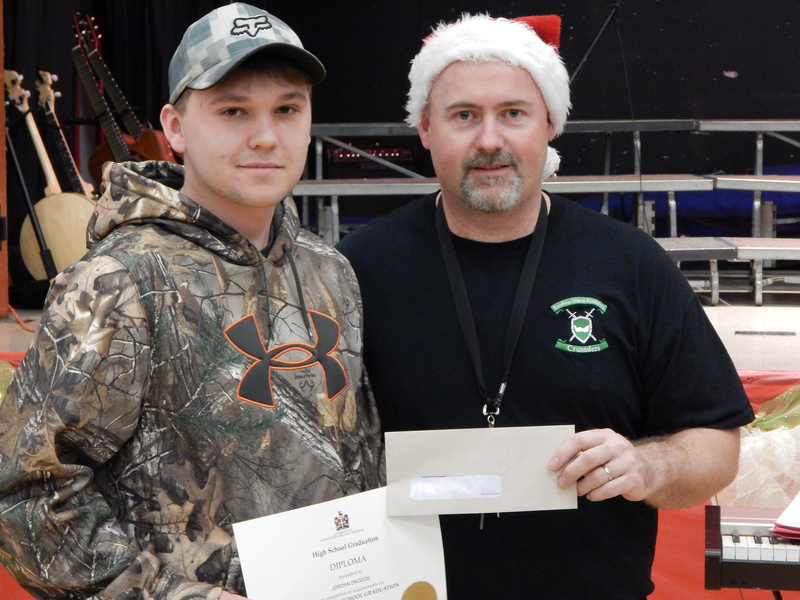 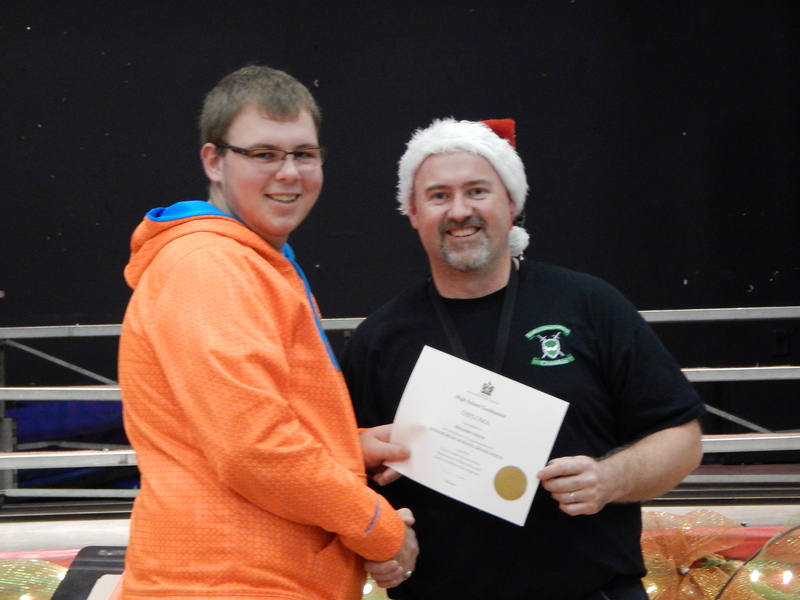 Jordan Drodge was also awarded a $500 skilled trades scholarship; Jordan is attending the College of the North Atlantic in Bonavista. 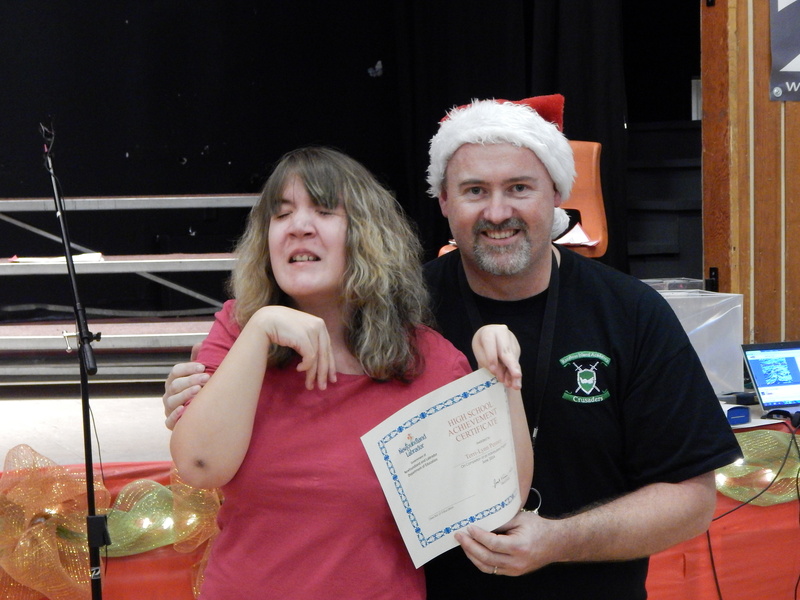 The ceremony was also marked by Terri-Lynn Penney receiving her certificate after being a student in our school for 21 years; she is definitely missed by all this year! 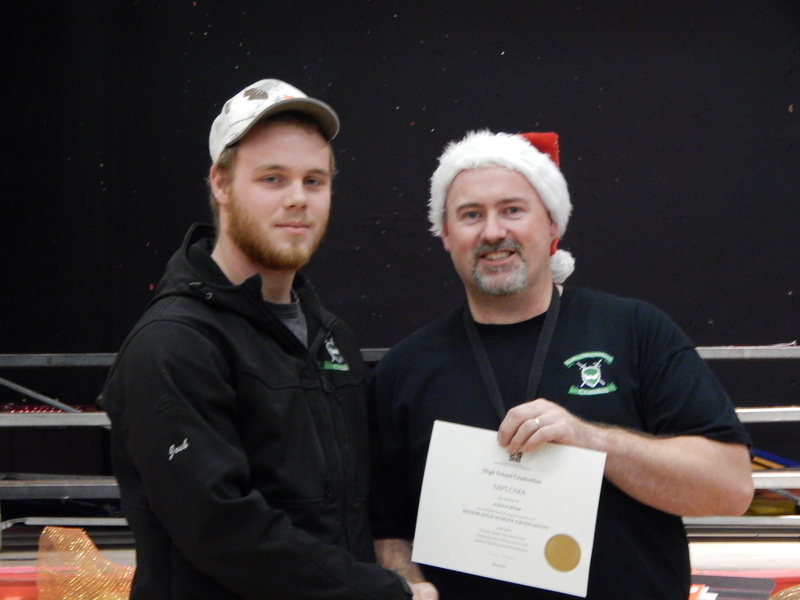 We would like to wish all our graduates all the best in the future! 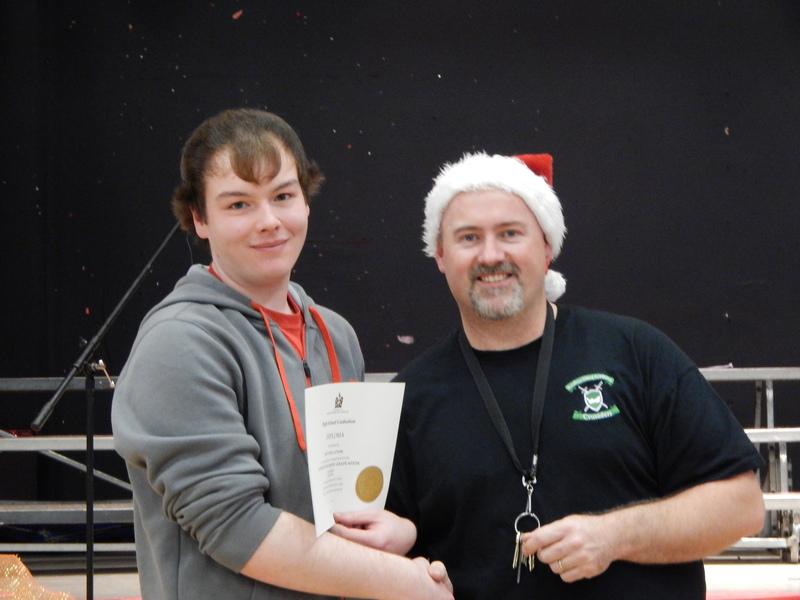 This entry was posted in Important Information, School Life Archive and tagged Important Information, School Life on December 19, 2014 by riawebsite.